The edited version of this article first appeared in New America Media. 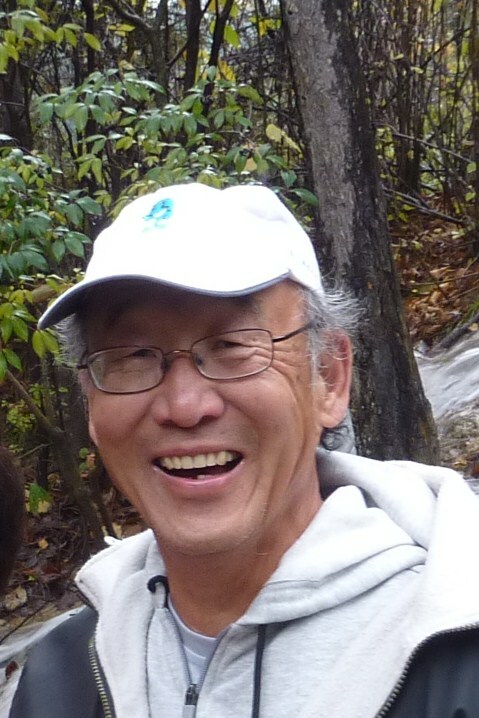 Dr. Haiping Su was a victim of racial profiling and he sued the United States government and NASA for smearing his reputation, invading his privacy, depriving him of realizing his full career potential and causing him emotional stress and mental anguish. He sued to clear his name and he asked for $5.2 million in damages. Six (6) years later, after various delays, legal maneuvers and challenges, the judge heard the arguments and ruled in favor of the plaintiff, namely Dr. Su, and against the defendant, in this rare case the US government. As compensation for damages, Su was awarded $10,000. The lesson of Su’s experience with American justice has implications for all Chinese Americans working in technical disciplines in the United States and is worthy of more detailed examination. In June 2008, Su was abruptly escorted off the premises of Ames Research Center in Mountain View, California and his access badge taken from him. The only explanation given to him was that he had somehow become a security risk to NASA. At the time, he had been working for about 3 years as a staff member of University Affiliated Research Center operated by UC Santa Cruz under contract to NASA. He had come to the US from China in 1986, earned his PhD in agriculture science from Kansas State five (5) years later and became an US citizen. His work for NASA related to his technical expertise. The work was non-classified. Approximately a month after getting his new identification badge to Ames in January 2008, the FBI asked to interview him for a “background check.” The FBI did not approach any other member of his work group for a similar sort of background interview. There was a second interview in March at the end of which he was told that he needed to take a lie detector test. Afterwards, the FBI agent told him that he “did not do well” on the polygraph test but did not otherwise explain why Su was being investigated. Early in April, Su was grilled by four (4) people representing FBI and NASA security to “clarify issues raised by the polygraph.” Then on June 24, Su was handed a letter signed by Robert Dolci, head of security at Ames, stating that his continued presence constituted a security risk and he was escorted off the premises. Dolci then called a meeting of Su’s coworkers and to their surprise, informed them that Su constituted a security risk. Some of his coworkers later testified that Dolci implied that Su was removed from NASA Ames because he took money from a foreign government. Early in July, Su’s supervisor at UCSC issued a letter of dismissal because he had allegedly failed the lie detector test. Fortunately for Su, his supervisor compared the flimsy accusations against Su’s exemplary work record and decided to rescind his letter of dismissal. He simply asked Su to telecommute and continue working from his home. Su was understandably distraught by the treatment he received. He contacted me and his story was still fresh in my mind when I happened to attend one of those Silicon Valley dinner meetings for technical professionals. Jim McManis, partner in charge at McManis Faulkner, a prominent law firm in San Jose, was the speaker and he spoke about fair employment practices. I was impressed by his forthrightness and his attitude about the importance of being fair, so I related Su’s story to him. McManis was appalled and invited Su to contact him. His willingness to take up Su’s case without fee made the historic lawsuit possible. McManis’ firm filed the complaint on behalf of Su against NASA and the FBI on the grounds that Su was not involved in classified work, had no criminal history, was never told of the charges against him nor given a chance to defend himself, and lastly was not told of his right to appeal. The complaint further charged that NASA in handling this case did not follow their own internal procedure and policy and thus deprived Su of due process, ruined his reputation and caused undue hardship and mental anguish. In the court hearing, testimony by Su and his wife indicated that he had suffered greatly from this experience. His wife testified that Su had undergone a personality change from outgoing to reclusive, from engaging to distrustful of people, and suffered from frequent bouts of depression. The trial judge acknowledged that Dolci invaded Su’s privacy but he was unable to accurately assess damages done to Su, because Su continued to be employed. In the end, the judge found for Su a sum of $10,000 as compensation for damages he suffered. After the judge rendered his verdict, I asked Su if he felt vindicated and if he had any regrets. He said that even though it became a six-year nightmare and he had to pay a personal price suffering from insomnia and hypertension, he would do it again. He was convinced that the only way to stop racism was to stand up and object. He didn’t fight just for himself, he said, but also for all Chinese Americans working in the U.S. The Wen Ho Lee case at the turn of the century was perhaps the most notorious, but racial prejudice since then against professional Chinese Americans working in technical disciplines has not subsided. Chinese Americans have continued to be accused, harassed, and thrown out of work. Subjected to personal ordeal, including sitting in jail without bail, the victims frequently find the government accusers lose interest and drop all charges—not before, of course, having inflicted financial devastation and character destruction on their hapless victims. Su’s case has been one exception where the Government did not get away with arbitrary and discriminatory actions and not have to pay a penalty.